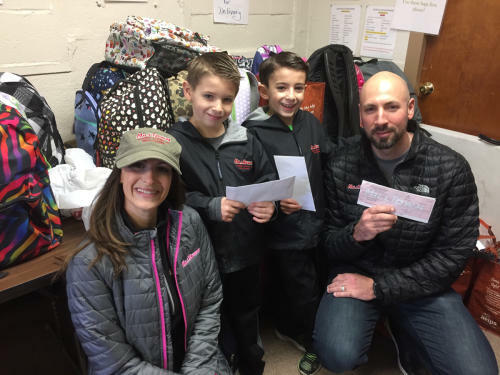 We’d like to thank Fred Webster, wife Stacy, their sons Nicholas, and Vincent, who presented End 68 Hours of Hunger with a check for $1,000 through its Milltown Helping Hands program. Fred is the owner of Chelmsford- Milltown Plumbing, in Chelmsford, MA. Each month, MillTown selects 3 – 4 nominees from all submissions received. Voting takes place throughout the month, and the nominee with the most votes receives $1,000 donation to his or her organization or charity. Programs like this are wonderful for our local communities!